Blissful and Domestic - Creating a Beautiful Life on Less: What Is Up Monday! - Updates On The Book, New Recipe, Meet the Mormons, and More! 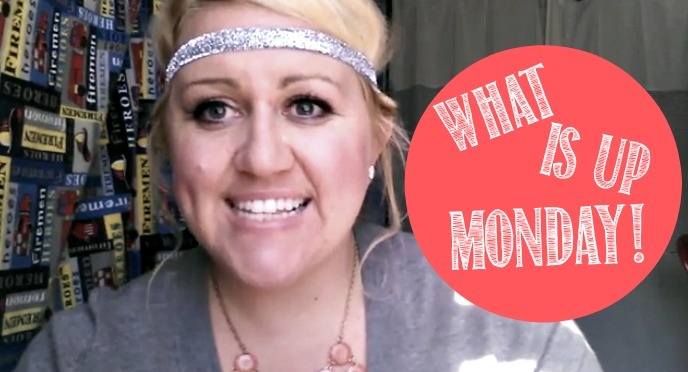 What Is Up Monday! - Updates On The Book, New Recipe, Meet the Mormons, and More! Morning Lovelies! Can you believe it is already Monday again? Who else thinks this weekend went by way too fast!? I know I do! I think I am in need of a four day weekend people. I feel like I am playing a bit of catch up! Dishes in the sink, laundry to be folded, and some projects to be completed. Yep a bit of catch up is in store for my Monday. While I am playing catch up, I have a new video on my channel for you. Check it out and see what has been going on with me the past week...I have a book update, a new recipe to share, and so much more in the video. Check it out lovelies! !